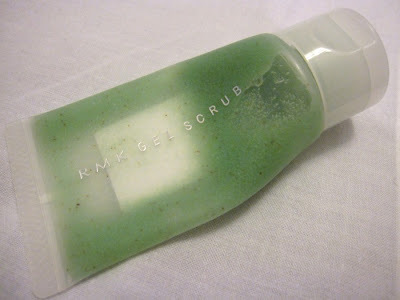 Over the past month, I've been using RMK Gel Scrub twice every week. This is a deluxe sample size, and not the regular retail size (100g). It is a gentle exfoliating scrub with four different types of scrub particles, namely crushed aloe, peach seed, chamomile flower and soft scrub pearls. These are supposed to help dissolve pore-clogging sebum and eliminate skin roughness. It also contains moisturising extracts of yeast, kiwi and a citrus mix for softening. After massaging it onto the skin, it is recommended to leave the scrub on for 1-3 minutes. The scrub has a pleasant light lemon-y scent. 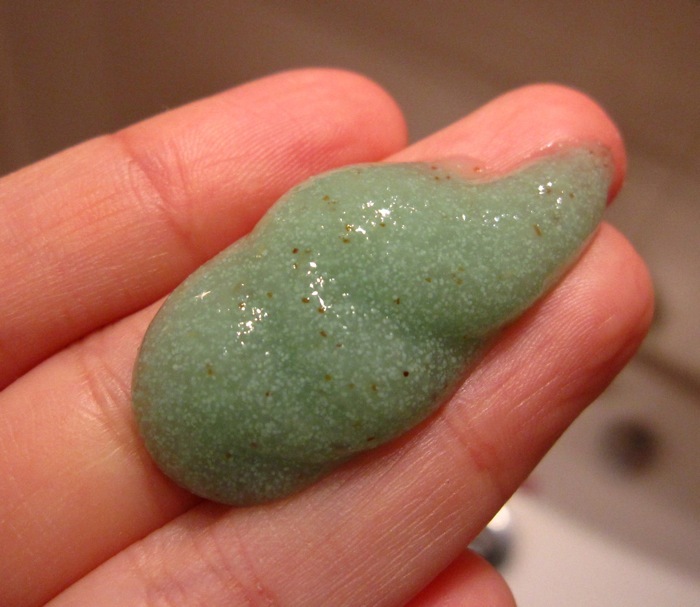 While it is non-abrasive and gentle enough to use two times a week, I find that the scrub particles provide good scrubbing action for only about 20-30 seconds before the scrub becomes too liquid and thinly spread over the skin. It rinses off cleanly without leaving any residue or dry patches. I'm not sure of the price in Singapore but in Japan, this retails for 3360yen. I would not purchase this again as I prefer the exfoliating action of Lush Angels on Bare Skin and Avene Cleanance Mask. Thanks for the tip! Everyone loves LUSH Angels on Bare Skin! awesome post! i was thinking about purchasing this because i ran out of my kiehls microdermabrasion but i guess i will just have to find another scrub!